We saw Pre-budget rally in market Nifty given around 4% bounce from the weekly low which was the 200DMA support. technically it achieved double bottom target with support of Oil&Gas, Metal and Banking share while before budget we saw smart rally in Fertilizer share. Sine next week Budget will be big event for market so rally may continue in next week but Nifty has too strong resistance at 8750 so we advise to buy Nifty around 8650 for target of 8740 and if Nifty maintain above 8750 then next target will be 8880 with strict stop loss of 8550 because after event we can see profit booking. Bank Nifty also rose around 1000 points in previous week these time PSU and Private all banks share rose with index since as we know budget will decide trend of market so according to hope market will keep continue up trend but as usual around event or all times high market face profit booking so in bank nifty wait & watch and create position after budget if market test profit booking then 20300-20400 will best level for short with stop loss of 21000. We saw some upside in GRANULES but at the last session of week it created evening star pattern on daily chart, since it is low beta share for that we can not expect any big move while according to chart it can be breach up to 111 which is support level also around 109 has 55DMA support level so it can be short around 116 for target of 112 109.50 then 102 with stop loss of 118. Whole week Divis Lab future faced strong selling but in last trading session of week it cover all losses and finished with morning star pattern on weekly chart which strong sign of reversal so we advise to buy it around 700 for target of 750 825 with stop loss of 660. 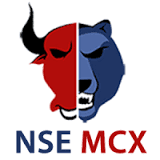 Get services in : ncdex tips, stock tips,equity tips, forex tips, MCX commodity tips and other stock market trading tips. It is really hard to find the best commodity and stock market advisory in India as there number of options are available which provides Stock and Commodity tips but which your article I come to about the best one thank you for sharing. This information is really very useful for many people.Do you have any idea about Free Commodity Tips.